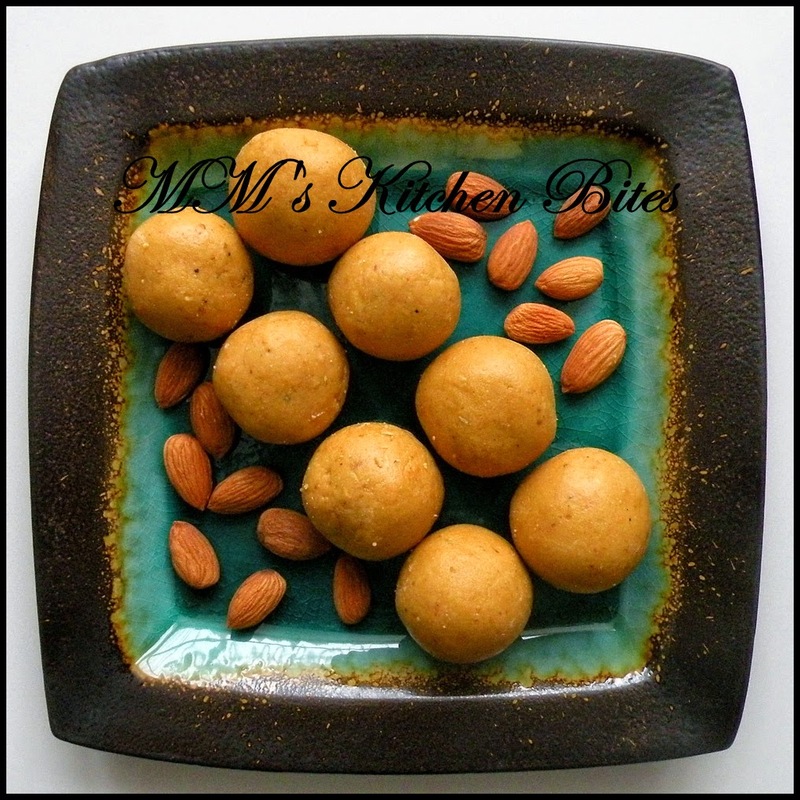 MM's Kitchen Bites: Microwave Besan Laddoos...Happy Diwali and second chances! Microwave Besan Laddoos...Happy Diwali and second chances! Put the sugar in the dry grinder/mixer with green cardamoms and ground it to a powder. Keep aside. Mix besan and suji in a microwavable tray/plate. Add ghee to it and mix well with a spoon. Now microwave the mix for 4 minutes. Stirring and mixing well every one minute. The timing will differ according to your microwave – I have a smaller microwave here so mine got done in 6 minutes, the recipes I have seen on the internet vary the time from 3 to 5 minutes. I would suggest checking and stirring every 30 seconds after the mandatory 4 minutes. Remove and let the mix cool completely (remember cool and not cold!! Or else you will not be able to bind. If the mix gets too cold and starts to solidify a little, microwave for 5-10 seconds but do this before adding the sugar and not after). Once done, add in the sugar and mix well. Divide the mix into 8 portions. Shape each portion into a round ball by firmly binding the portion in the palm of your hand and then rolling between your palms. 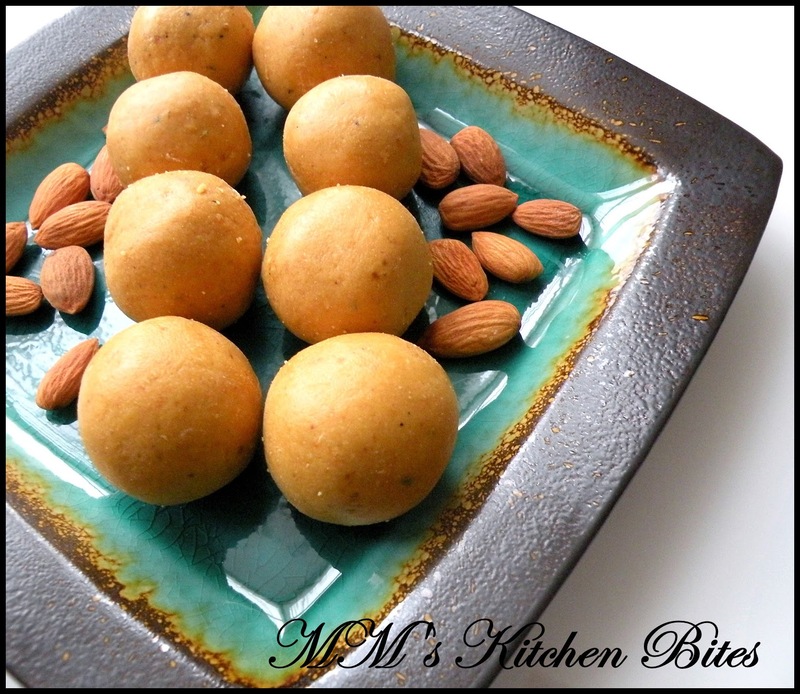 You can garnish the laddoos with almonds, pistachios, cashews or raisins or let them be as is.